Innaminny is directly opposite Four Mile Beach, in the peaceful residential area of Solander. 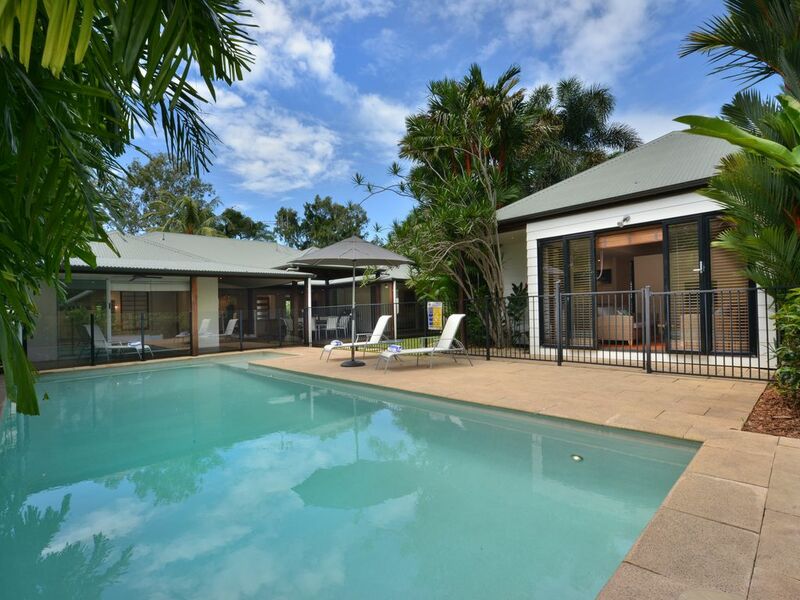 This stunning home offers ideal family or group accommodation, with an emphasis on privacy, lifestyle and space. Totally fenced and screened from the street, entry is through the secure front gate with intercom system, or through the remote controlled double garage. The internal living area has dining for eight guests. The sunny kitchen is fully equipped with modern appliances and has cupboards stocked with cups, plates, glasses, cutlery and cookware to make your stay comfortable. The living area has plenty of lounge seating around a plasma TV with DVD. The three bedrooms in the main house each have an en-suite, the master bedroom enjoys one whole wing of the house with both a stunning bathroom and a view over the pool. The fourth bedroom is totally separate from the main building by a lawn area. Located in the pool house, it offers self-contained accommodation with en suite, kitchenette and a lounge area, making it ideal for older guests or parents with young babies. The house has fully ducted air conditioning throughout, with a separate split system installed in the pool house. The house has a WiFi internet connection.